It is known that Nokia has started making Android phones. Nokia upcoming smartphone Nokia 9 specifications were seen on several websites. 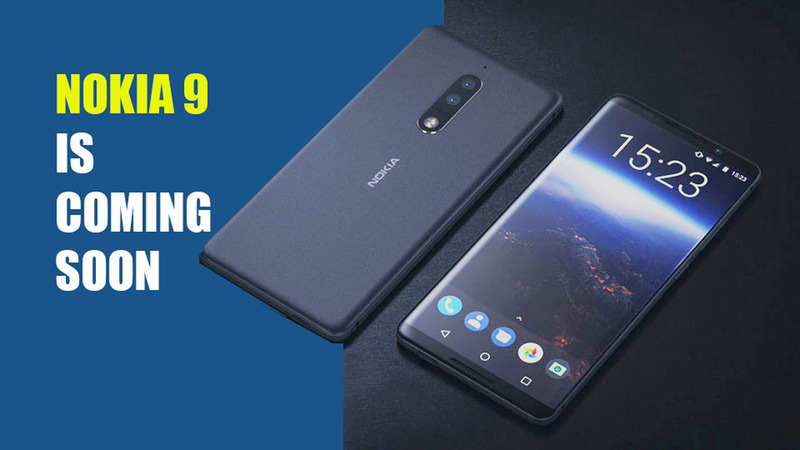 Let us look into the specifications of Nokia 9. 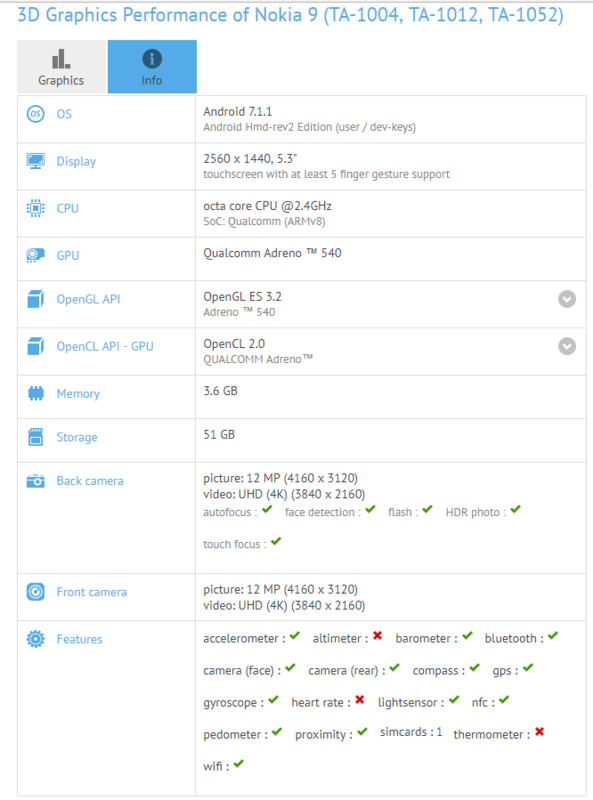 Nokia 9 smartphone specifications were spotted on GFXBench website. GFXBench is a popular benchmarking website. Nokia 9 smartphone will be having three variants with code name TA-1004, TA-1012, TA-1052. If the reports are true Nokia 9 will have an Octa-core Qualcomm Snapdragon 835 processor clocked at 2.4 GHz along with Adreno 540. If the specs are on the device, this phone will be a decent gaming phone. The device will have 4 GB RAM, 64 GB of internal storage, the phone has expandable storage. Nokia 9 will have a 5.3-inch Quad HD display with a resolution of 2560 x 1440. The Nokia device got an FCC certification with a Bluetooth Special Interest Group certification. The phone has two 12 MP camera sensors, one on the front and the other on the back. The two 12MP camera sensors are capable of shooting 4K video. Nokia 9 will come with the latest operating system, Android Nougat 7.1. The price of the phone will be around $699(Rs 44,885). Nokia has not made any official announcements as of now. The specifications of the Nokia 9 reported above were More details about Nokia 8 will be released on 16 August 2017. Nokia 9 is supposed to be launched at the end of the third quarter.